It's April 2016, which means I've been living back in Houston for the past three years now! And THAT means it's time for my favorite blog post, where I discuss my top 10 favorite Houston restaurant dishes from the past year!!!!! Last year I shared with you my 10 favorite Houston dishes from Year Two, and the previous year I wrote about my 10 favorite Houston dishes from Year One. So now, I'm super pumped to share with you my favs from Year Three! It's been an amazing year y'all. And the food has been all the more amazing. So let's go! My mom and I had a lunch date at the restaurant Urban Eats not too long after it first opened in Houston, and we totally fell in love with it. We shared a bunch of dishes, and were floored by everything we tried, like the eggplant napoleon. The ooey, gooey, sensuous dish was tart, soft, and dripping with deliciousness. We loved it! During the fateful Memorial Day floods of 2015, out of the abyss came Beckrew Wine House, shining like a beacon down the street from my beloved former apartment in Houston's Upper Kirby area. My friend Kate and I walked over, we drank some delicious wine, and we ate some fresh, light, and tasty food. 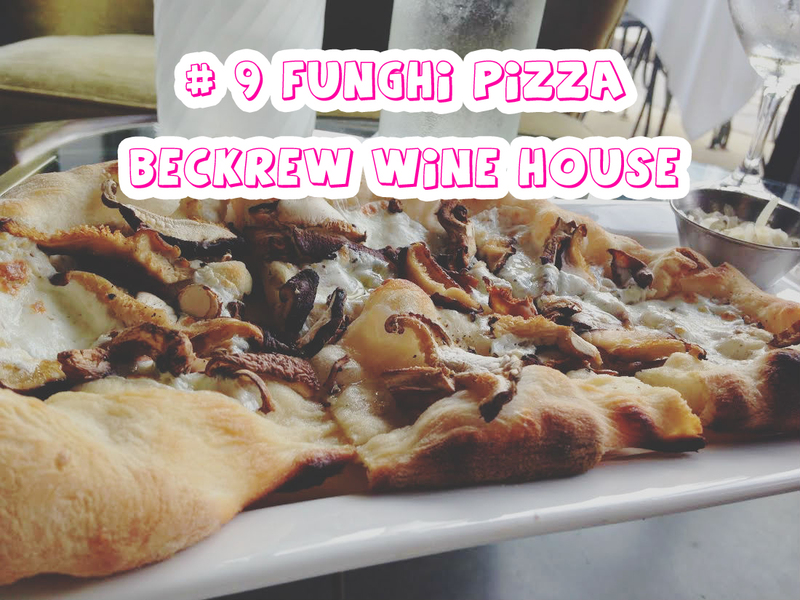 Most notably, we adored the funghi pizza. This imperfectly perfect pizza was wonderfully textured and peppery, and was a true delight to eat! 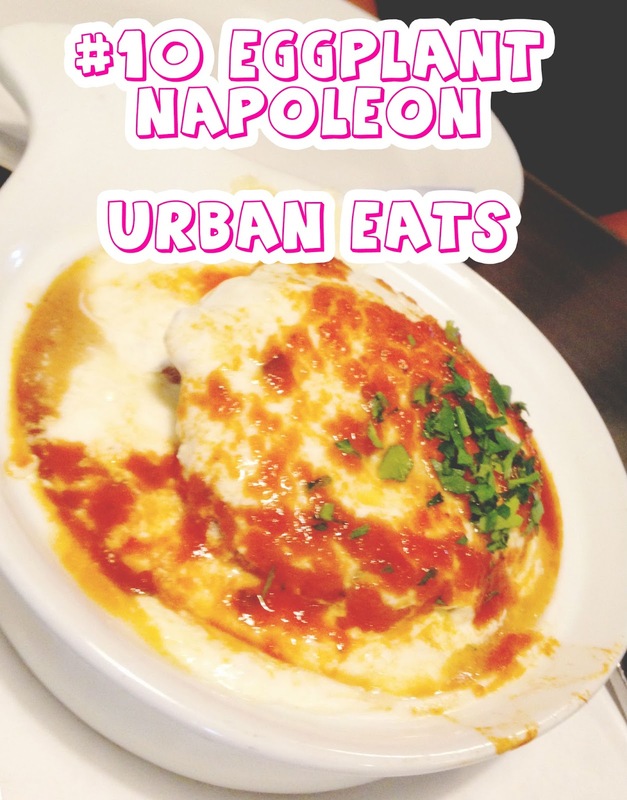 I loved my visit to Urban Eats, CAN YOU TELL? First off, the restaurant has an entire section of the menu devoted to french fries. Does it get any better??? It does, because when you actually try the fries you will lose your mind. 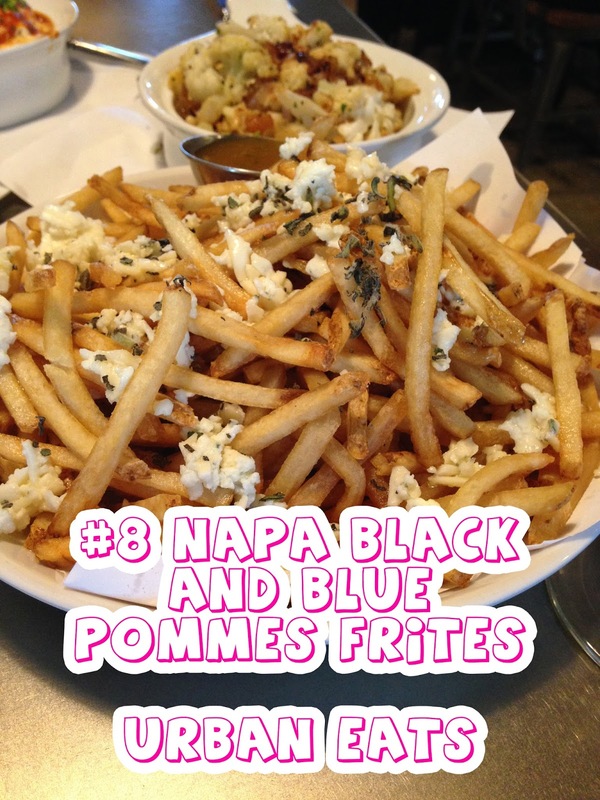 Specifically the Napa black & blue pommes frites. 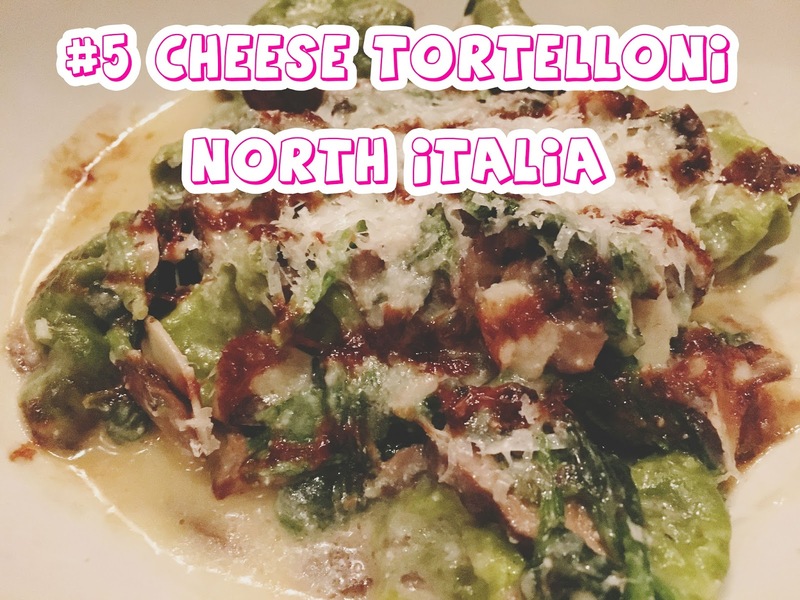 The dish is a hodgepodge of very strong, potentially contrasting flavors of blue cheese crumbles, truffle oil, black pepper, and fresh sage, and the finished product is simply divine. The appetizer so good I had to make a webisode about it! This battered, then fried, then sauced up cauliflower is the stuff [vegetarian and non-vegetarian] dreams are made of. The flavor is outstanding, the texture is playful, and I swore the first time I tried this dish with the Houston Food Blogger Collective I saw stars. 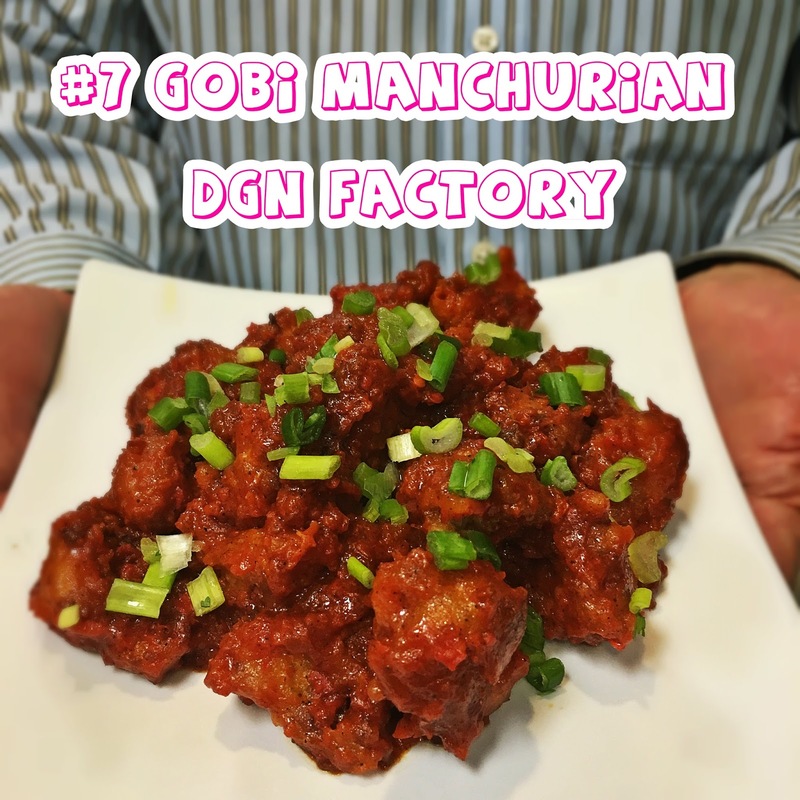 Getting to eat the gobi bites a second time with my friend Danielle just seemed downright mischievous. I could not believe these weren't meat or a super processed meat substitute. But LUCKY ME, it's cauliflower!! Damn delicious cauliflower. 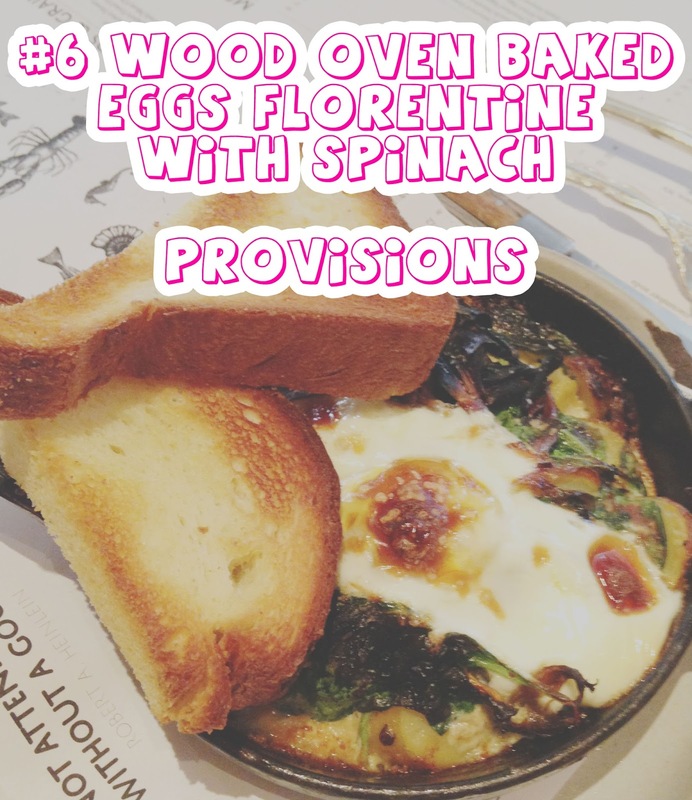 Crispy, oozing, bubbling, baked eggs atop a swirl of potatoes, spinach, and parmesan cheese. Are you dying? I'm dying. This gorgeous skillet was the food star of a fabulous Houston brunch I had at the restaurant Provisions with my friends Erika and Judy. It was true love in every single bite. Top Five, Top Five, Top Fiiiiiive!!! Here we are! Jon and I had what was easily my favorite dinner in Houston in the past year at North Italia with our friends Blake and Katie. For my entree I ordered the restaurant's cheese tortelloni, and I lost. my freaking. mind. The pasta was tossed in a creamy sauce with mushrooms, spinach, pecorino, and sweet saba. The rich, cheesy, elegant pasta was pure indulgence and absolutely mind blowing. 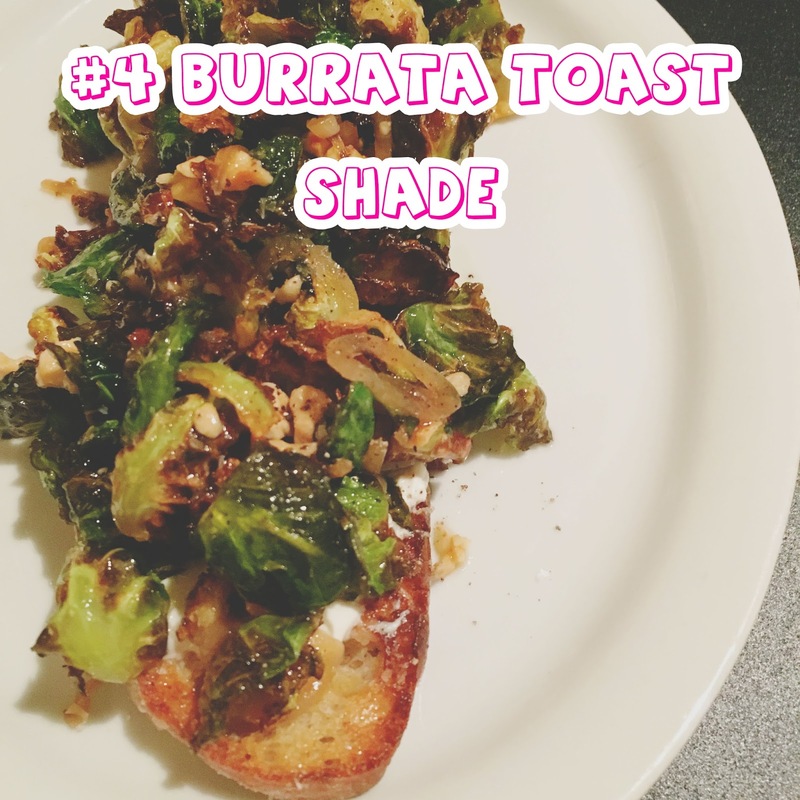 I hadn't been to the Houston Heights restaurant Shade in a couple of years, and my recent visit with Jon was definitely a memorable one, thanks in large part to the burrata toast with crispy brussels sprouts, honey, and hazelnuts. It was sweet, smokey, textured, complex, and absolutely brilliant. I look back at my description of this dish, and I was dead on, saying it was "definitely in the running for one of my favorite dishes in Houston this year." Well burrata, you secured the #4 spot. Not bad, my glowing, green, gorgeous friend. Really, the #3 spot should go to "My Entire Experience Eating at Helen Greek Food and Wine as a Whole." People cannot stop yammering about how awesome this restaurant is - and for good reason. When I ate dinner there with my friends Claire, Sarah, Renee, Lisa, Renia, and Erika, we were gifted with an excellent dining experience from start to finish. 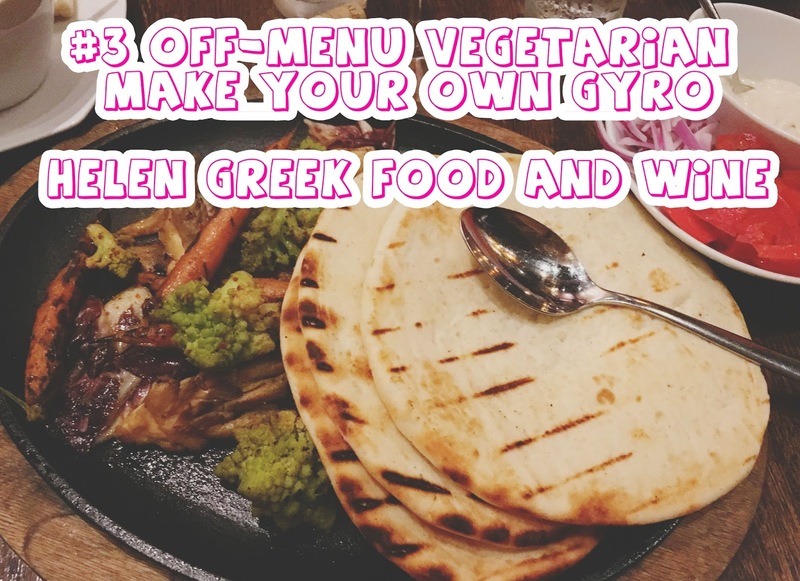 My highlight of the evening was an off-menu vegan make your own gyro plate the restaurant composed for me. Everything was so dang fresh it was stupid. The flavors of the carefully cooked vegetables were vibrant and alive, and eating them seriously gave me life. Awesome, food-loving life. THIS QUESO GOOD LORD. 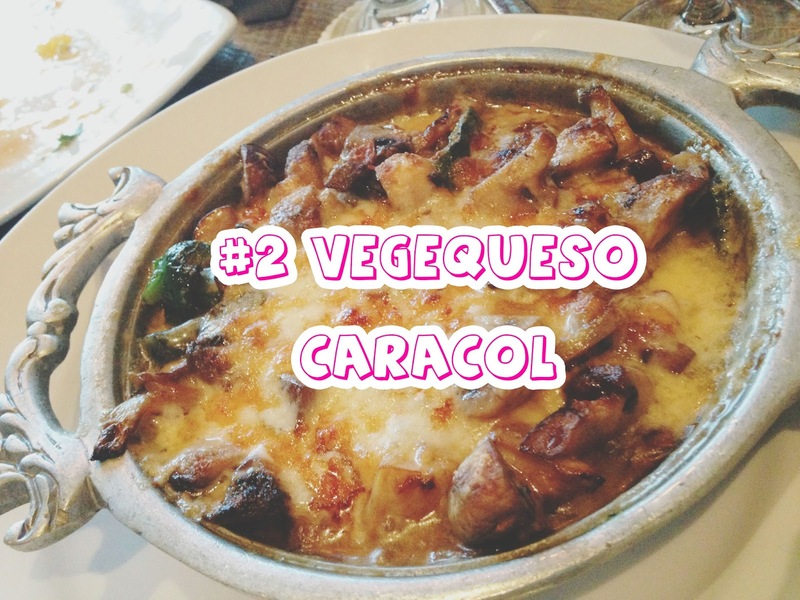 Even if you aren't a vegetarian, when you go to Houston's Caracol you've got to ask to see their vegetarian menu. And you've got to order the restaurant's vegequeso as a starter, like I did with Jon and our friends Dillon and Melinda. More of the stringy queso variety, this cheese was hearty, tart, and filled with sauteed, smooth vegetables. Piled onto fresh tortillas, the result was absolutely outstanding! My number one was an absolute no-brainer for me. Just thinking about this dish has me salivating. In my initial blog post I hinted at the fact that this was one of the best dishes I'd had at a Houston restaurant in the past year, but in the moment that I took my first bite, I knew it was without a doubt number one. 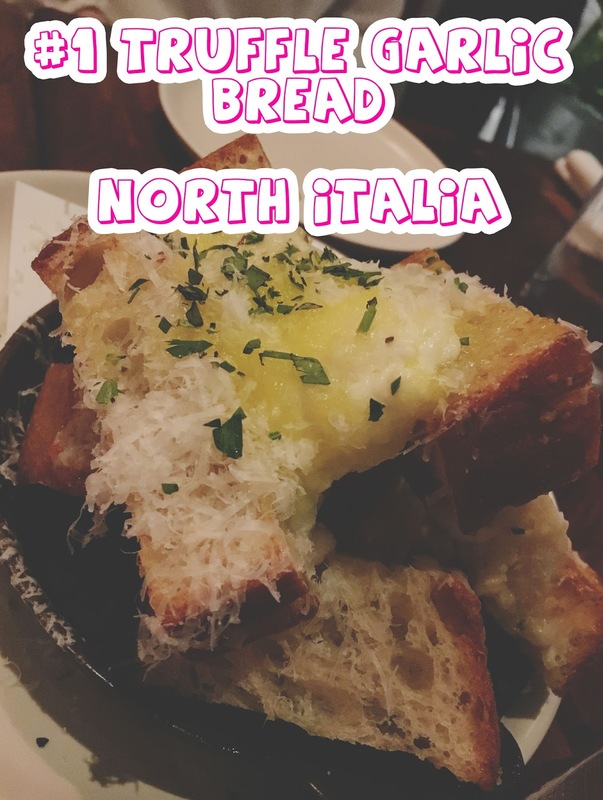 The effervescent bread was fluffy and bursting with flavors from the rich truffle oil and gorgeous garlic. It also contained a bubbling house-made ricotta which was just downright naughty. Hearty, and rich, and sensuous, this dish will give you an out-of-body food experience. PLEASE order one of these the next time you're there. Or maybe three? You know, for research. 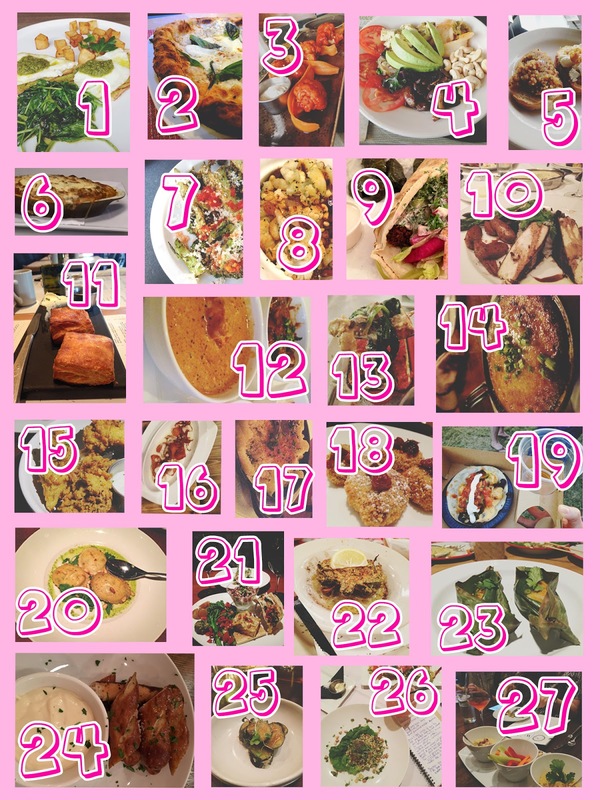 And because I had so much awesome food this past year, here are my honorable mentions, in chronological order of having eaten! And that's a wrap! I feel so incredibly grateful to be able to continuously try unique, delicious, wonderful foods from many of the restaurants that make Houston the vibrant food city that it is. Thank you to all of you who have been reading along and accompanying me on my food journey. Sometimes it's nuts (um, Whole30 much? ), but mostly it's awesome (TRUFFLE GARLIC BREAD). So here's to many more years of all of us enjoying fabulous food together!